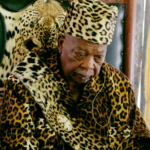 MESSAGES of condolences are pouring in following the death of King Immanuel Kauluma Elifas of the Ondonga Traditional Authority and chairman of the Council of Traditional Leaders who passed away in the Onandjokwe district hospital in the Oshikoto region this morning. 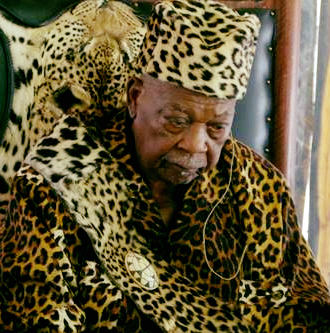 The 86-year-old King Elifas has been of poor health for a long time and was not seen in public for almost a year now. However, his condition deteriorated last week and was rushed to hospital Thursday evening. His death was confirmed by crown prince Shuumbwa Nangolo, who said he learned about his uncle’s death at around 04:00 this morning. “He passed away in the Onandjokwe hospital where he was admitted last week,” said Nangolo. Speaking for Queen Martha Mwadinomho Kristiaan Nelumbu, the chairperson of the Oukwanyama Traditional Authority George Nelulu, expressed condolences and wished the widow Cecelia Elifas, the children and the royal clan strength in this time of bereavement. “We learned with shock the passing of King Elifas. He was a great king, loved by all. We mourn him together with the rest of the nation,” he said. Swapo regional coordinator for Oshikoto, Armas Amukwiyu, expressed condolences to the bereaved family, to Aandonga traditional community and to the nation as a whole. “His death is a blow to all of us. He was a strong pillar, a peace-loving freedom fighter and a reliable adviser. We are now mourning him and hope that after the mourning God will guide the royal clan to give us a leader possessed of the same qualities,” he said. The social media is also abuzz with messages of condolences from ordinary citizens. Late Elifas was either the 17th or the 18th king of Ondonga depending on whether Nehale lyaMpingana is excluded or included on the list of Ondonga kings. Nehale lyaMpingana ruled the eastern half of Ondonga while his brother Kambonde kaMpingana was the legitimate king of Ondonga. Late King Elifas was the third longest serving king of Ondonga having been the reigning monarch from 1975 following the death of his elder brother, Fillemon Elifas, who was shot and killed by an unknown assassin. The longest serving king of Ondonga was Nembungu lyAmutundu whose reign lasted 70 years – from 1750 to 1820. The second longest serving was king Nangombe yaMvula (1700-1750). Ondonga is one of the eight tribes of the Ovawambo ethnic group.